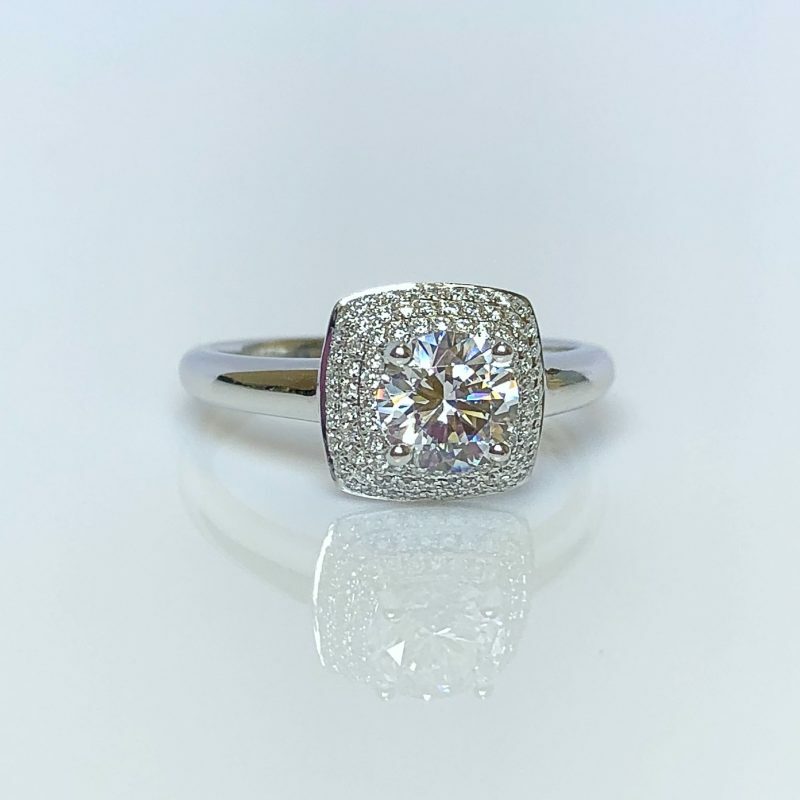 With a total diamond carat of 0.99ct, this beautiful ring is crafted in luxurious 18 carat white gold. 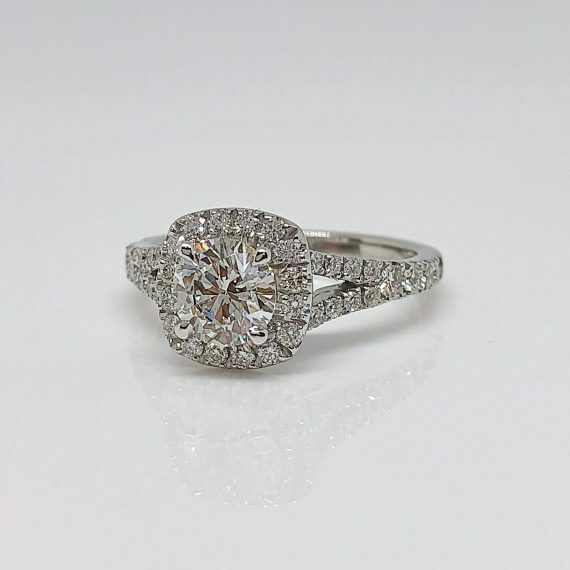 The centre stone is a shimmering 0.80ct round brilliant cut diamond in a secure claw settings and is surrounded by a diamond set triple halo cluster to create maximum sparkle. The overall design is accentuated by plain shoulders merging into the setting. 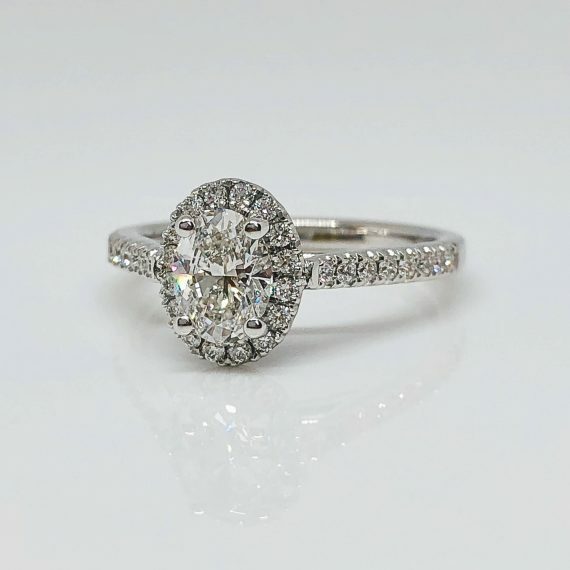 Featured ring is available from €5495.00. 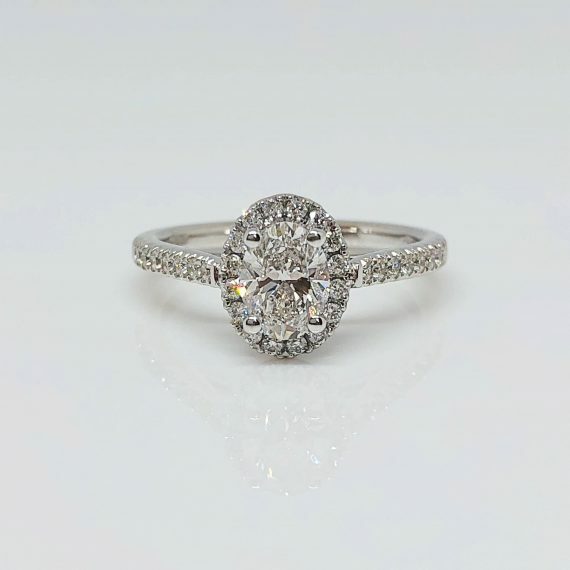 All of our diamonds are GIA, HRD or IGI certified. Ring is available in all finger sizes and all precious metals including 18ct rose gold, yellow gold and platinum. 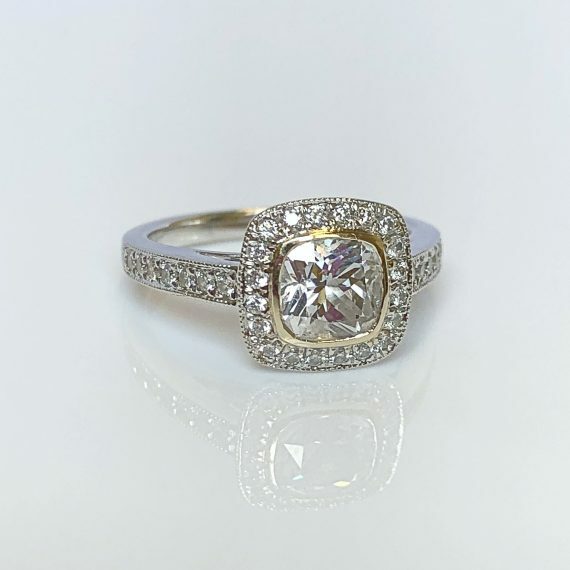 We can find the perfect diamond for you – with access to over 1 million certified diamonds, we can alter the centre stone to suit your personal requirements or preferred price range. 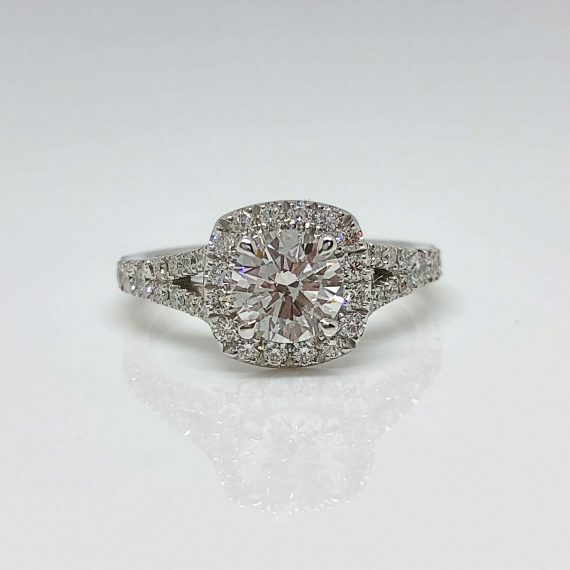 For tips and tricks on ‘how to buy a diamond using the 4 c’s’, visit our educational article by clicking here.